Most small church pastors want to be better planners. But where are the resources for how to plan better in a small church context? In the big church down the street, this year’s plans were drawn up many months ago. The January sermon series has been running promos for weeks so they can take advantage of the huge Christmas attendance bubble. The annual budget was approved months ago, needing only minor tweaks from the pastor’s five-year vision. Meanwhile, in most small churches, the pastor will be doing the Saturday Night Scramble again after working a secular job all week. The Christmas bubble? It was a bust. And the only thing we know about the annual budget – if we have one – is that it we’ll have to get by with less this year than we did last year. Is that why small churches stay small? Or is there something else going on? Certainly, there are churches that stay small because of incompetence in both planning and execution. It would be naïve not to acknowledge that. But that’s not the case for most small churches. Small church pastors are just as passionate, wise, hard-working and called by God as our big church counterparts. But long-term planning is harder to do in a small church. And there are very few resources to help us do it better. That's not an excuse. It’s a reality. Large crowds behave more consistently than small groups. The bigger the crowd, the more you can predict their needs and their reactions. So you can plan with a relative degree of certainty. 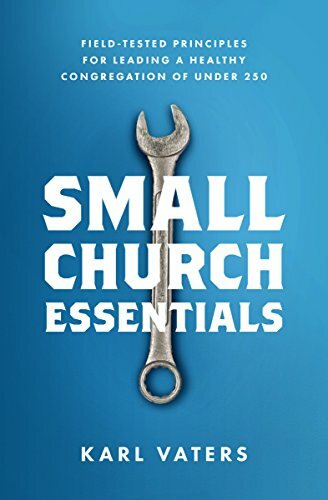 The smaller the church, the less predictably it behaves. And the harder it is to plan for. But the smaller the church, the less predictably it behaves. And the harder it is to plan for. Not only are small churches different from big churches. Small churches are very different from each other. What works for one may not work for another. In a small church, minor events have massive impact. For instance, every church should have an annual budget. But that budget can becomes useless if one or two givers get laid-off or transferred out of town. Or if a water pipe bursts. The same thing can happen with your children’s ministry, worship leading, youth group and so on. In a big church, people can come and go with barely a ripple to the overall church. But in a small church the addition, subtraction or change in plans of just one person or family can cause massive changes that you can never adequately prepare for.